Emotional baggage is a peculiar thing. It is invisible to the naked eye, but it can feel so heavy when you carry it. I’ve let myself get weighed down under such baggage, and struggled in such a way as to attract attention to my load. And it does attract attention, usually in the form of fellow travellers. “Let me dump my bags,” I might say. “Pick them up. Feel how heavy they are.” And they might listen politely, even sympathetically, but mostly they are waiting for me to finish so that they can dump their bags, so I can see how much heavier they are than what I’m carrying. And there we all are, having a dumping party, trying to get each other to carry our bags. You can probably guess how effective that is. In fact, it does work to the extent that people can dump their bags and add them to your load (or vice versa). Funny thing is, dumping of this kind doesn’t seem to make anyone’s load any lighter. Instead, the baggage seems to multiply so that there is enough weight to go around for all who will help carry. Of course, we all know you don’t need to be actively taking part in dumping to be targeted as a dumpee. Sometimes you seem to be a magnet. You can be minding your own business, having a cup of coffee and reading a paper, when you are suddenly approached by dumper. You may even recognize this person, and know them by name. You may even see them regularly, in your kitchen at breakfast, for example. They might not even be speaking to you directly, but they are speaking. And dumping. Because of your proximity, and the fact that you might care about this person, you can’t help but listen, even if you remain behind your paper (which can actually encourage more dumping). As you listen, your back gets sore and your shoulders sag. More to the point, you start to feel what the other person is feeling. You might even become sad, frustrated or angry. Before you know it, you put the paper down and you are pacing the kitchen pontificating with one hand and sloshing coffee with the other, agreeing with the dumper. Emotional power is raised to a crescendo that might include an argument about how much you agree with dumper. Then suddenly, the dumping session is over and the dumper is out the door, reminding you to clean up the coffee you spilled. And you still have their bags. Somewhere in Alabama there is a store selling unclaimed airline luggage at an 80% discount (seriously). Apparently, lost and found can do that after 90 days of trying to locate the owners. And it is a pain for the owner, I’m sure, but eventually the cameras, clothes, jewellery, books, iPads, etc. get replaced. Or else the owner realizes that those items aren’t all that important. If only it was so easy to lose emotional baggage, not that I would encourage anyone to buy it, but at least it would have value to someone if they did. Because, really, these bags are just weighing us down and getting in our way. We don’t need them, but we’re so used to carrying them that it is hard to let go. It seems more comforting to share out. I think you’ll feel much lighter and freer if you can shake those bags off your back. It might take a while to loosen the knots, but you can do it. And when someone sees your unburdened back as an invitation dump their own bags, don’t let them do it. Instead, help them to ditch their bags. I like to think that rather than taking the distress, I can Earth it, like a lightning rod. Sometimes with a particularly bad dump, I take time to make sure I am cleansed of it, and sometimes I feel someone has so much pain that they dump from their bottomless pit on me without getting any benefit themselves- but generally I can feel that I have made someone feel better by listening, and this is a delight and not a burden for me. Thanks for your comment Clare. Cleansing and grounding are good points. Sometimes I find myself feeling other peoples emotions for them, and I really need to remain aware of it, and make an effort to clear what is not mine when I get the chance. 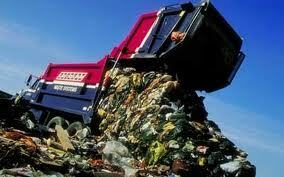 I’ve also had experiences where dumping seemed to be a substitute with dealing with issues. Kind of like “this is who I am, this is my story, and if I move away from that I’m out of my comfort zone.” Then again, some people just like to complain – Eeyore Syndrome. I am reading this with clarity and thinking about how I relate to your words. The saying misery loves company comes to mind with the first paragraph but as you go on I am profoundly thinking about my situation. It is clear to me a few years ago I was most definately a dumpee and searching for peace with certain particular dumpers….I am wondering if I have switched positions and become a dumper. I have recently started blogging to record and reflect on how my illness has me on a quest for a more fulfilling life and I hope that I am not just using it as a dumping ground. Thank you for giving me this most important reflection. I am also working energetically with a reiki master on a regular basis and have really become attuned to picking up on energy surrounding me, this is a gift I treasure deeply. It might not always be easy to be so vulnerable as I see it but if i am true to myself and constantly remember to aknowledge with respect but not to pick it up and carry it. If that makes sense I’m not exactly sure but hope that it might help in some way. Thanks so much for your well considered comments. I think you’ve picked up on what I was attempting to say here – there is a difference between sharing and caring as opposed to dumping and carrying. I’ve been prone to picking up on, and picking up, other peoples energies and emotions as well. It’s not always easy to find the separation between those two concepts. I wish you well on your journey. Bright blessings.